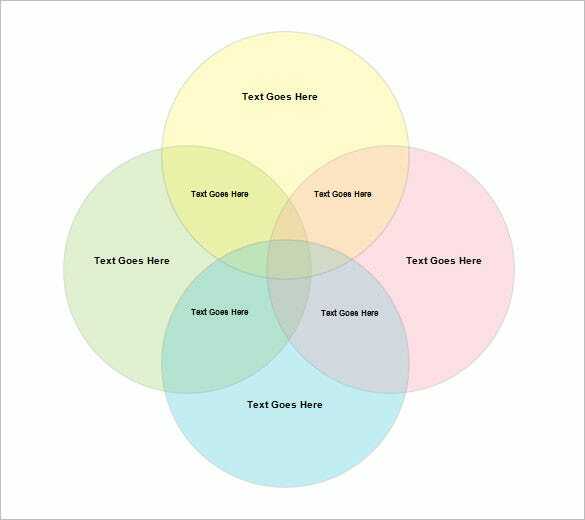 4+ Free Venn Diagram Templates – Free Sample, Example Format Download! You don’t have to resort to drawing a Venn diagram on your own, there are pre-designed templates easily available. You just need to download, print and use them in whatever task that you require it for. 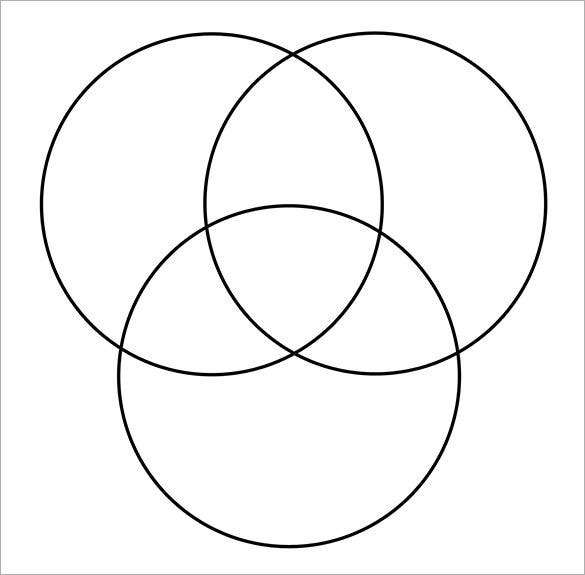 The templates contain all the variations of the Venn diagram – 2 circle Venn diagram, 4 circle Venn diagram, Funny Venn diagrams, etc. You can customize them further if you need to. 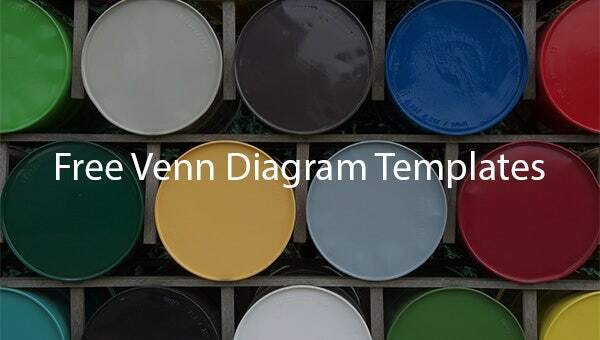 You could conveniently use the templates for a classroom activity, practice and much more!. 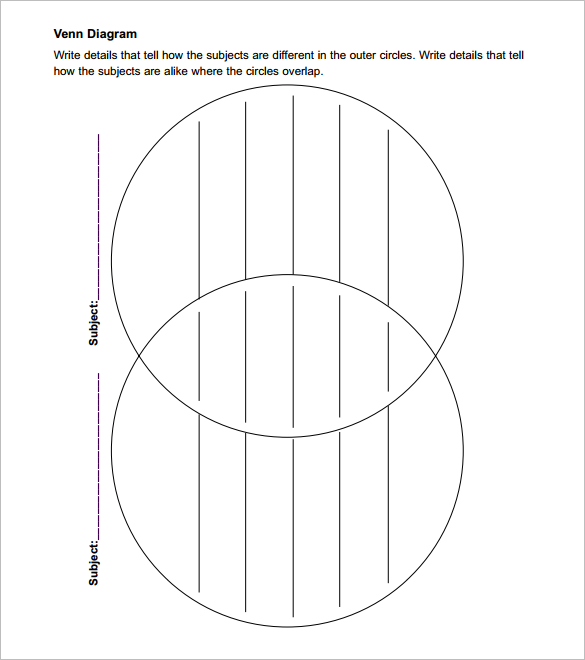 You can also see Blank Venn Diagram Templates. 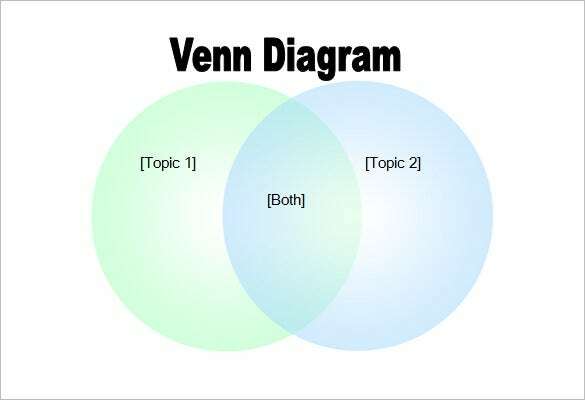 A diagram template with two overlapping cycles for comparing two topics. The two cycles shows different topics while the overlap area shows the similarities in the two. It has lines and a place for name and date. This is a three cycles diagram with the cycles overlapping for showing relationships among items. The cycles are of different colors for that colorful presentation. The template is blank without any writing or guides. Modifications regarding color, layout, content, number of circles etc. can easily be done in these templates. 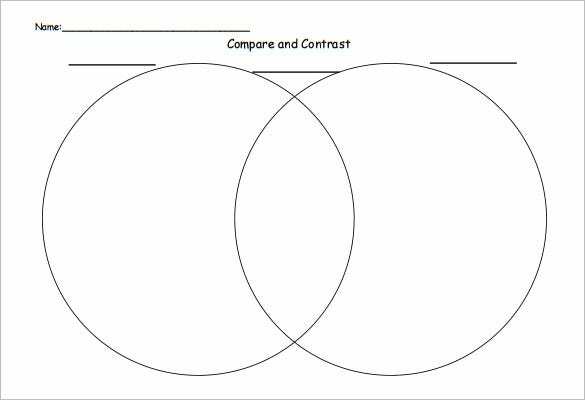 Our Free Venn diagram templates are the best samples you can get as they are high quality, neat and easy to use. They are available across many formats.